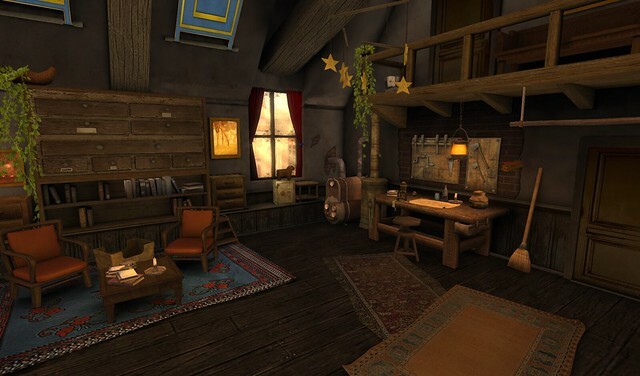 I am showing a few gorgeous items that are in shorter 2 week events and they end on April 30th. 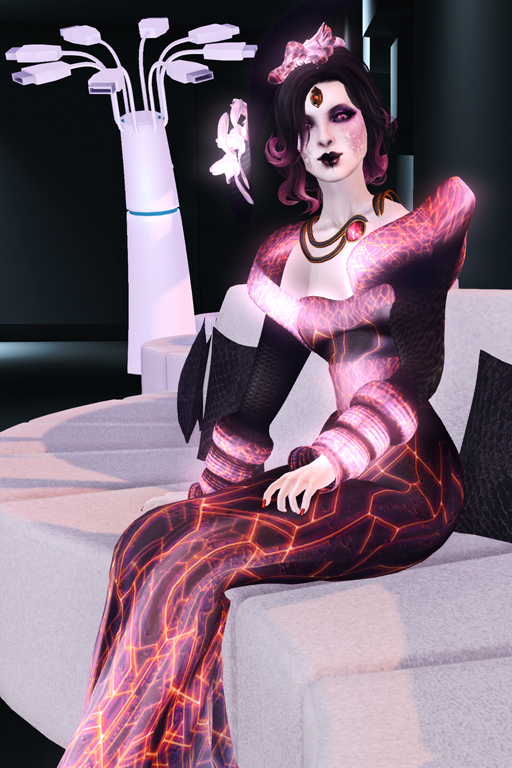 Cae is at Bloom with the Mariposa jewelry set and Arte is at Cosmetic Fair with the Dimension eyes. I stopped by Cosmetic Fair and picked up a few goodies and I found a few new-to-me makeup stores too. I really love makeup appliers and how they can change my skin and look. Hurry to both Bloom and Cosmetic Fair before April 30th. I went to see GOD and was blessed with FREEBIES. The runes called to me. 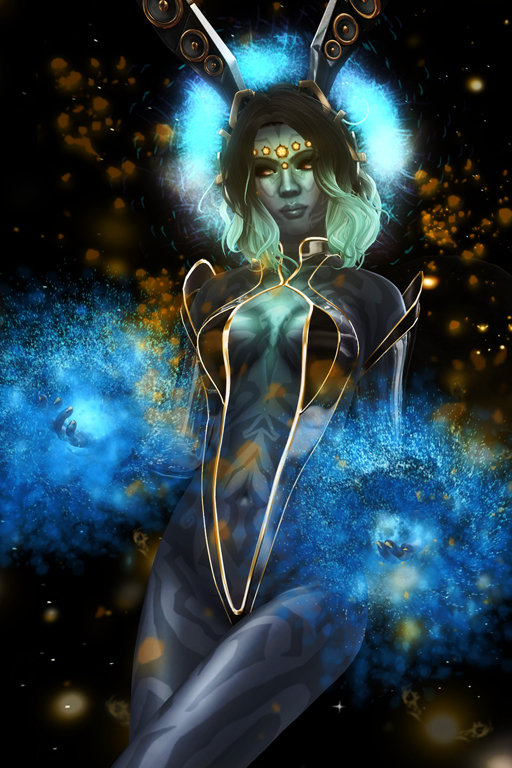 I could hear them in my slumber, the shift of colours, the pulse of light, the gathering of energies. Warrior Princess? All the sweeter…. Tonight I have a few pretty shots to share of a few things I hastily put on from my inventory so I could go check some events out today. I really liked how it all went together so I finished it off and took a few shots to share. 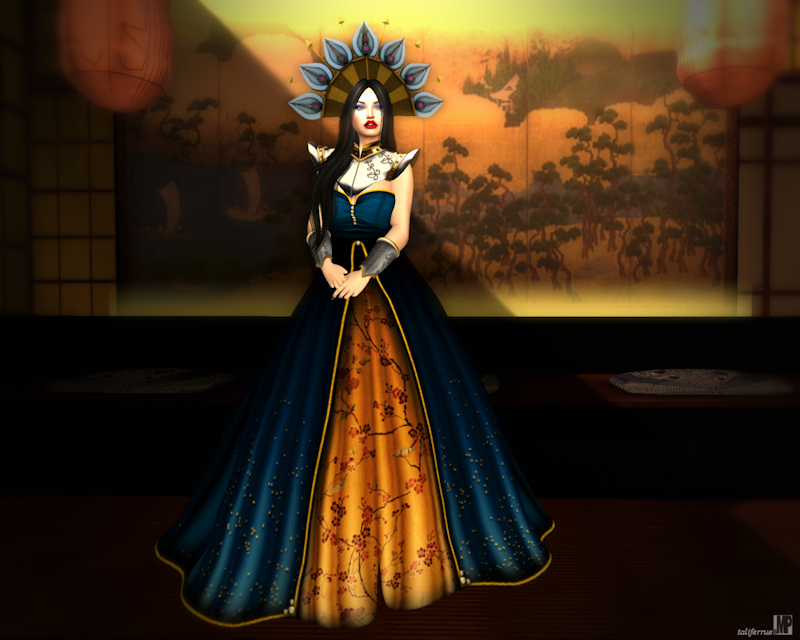 My regal outfit is a combination of the Joanna Outfit Gacha (L$30) and the Hera Crown & Mask Gatcha (L$30), both gacha sets are Sweet Lies Originals available in the main store. The Joanna Outfit Gacha consists of 5 rare armor accessories (collar and bracers) and 6 common dresses in vibrant colors. The Hera Crown & Mask Gacha consists of 4 common crowns and 2 rare crowns and masks. I really like the quality of Sweet Lies' designs, they are highly detailed and very affordable. This is a designer to keep an eye on! Good evening everyone! I have another fun post featuring A Tattered Page (ATP). It is now on its fourth round! 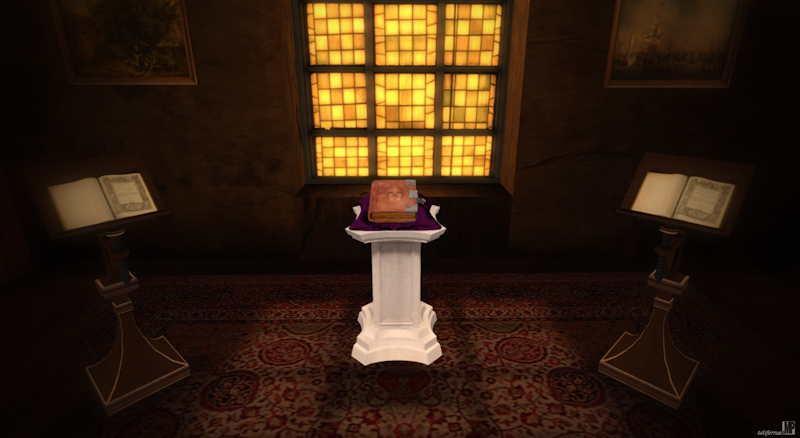 ATP is a quarterly Second Life Event based on a different book each round. A real book...not a movie! The book is used for inspiration, everyone involved has to read the story and interpret it with their designs/blog posts.The exclusive items designed by the participating designers will be available at their stores and the ATP Library until July 31. The Last Surviving Copy of the Nice and Accurate Prophecies by Agnes Nutter.